Season 1 of AMC’s critically acclaimed new show "THE KILLING" comes to Blu-ray and DVD on March 13 from Twentieth Century Fox Home Entertainment. With exclusive Blu-ray and DVD features, including an extended season finale, loyal fans and new viewers alike will dive deeper into the captivating mystery and complex characters that garnered the freshman series six Primetime Emmy® nominations and one Golden Globe® nomination. Catch up on the show that everyone will be talking about when "The Killing" returns to AMC for season two this Spring. From writer, executive producer and series showrunner Veena Sud ("Cold Case") "The Killing" ties together three distinct stories around a single murder including the detectives assigned to the case, the victim's grieving family, and the suspects. Set in Seattle, the story also explores local politics as it follows politicians connected to the case. As the series unfolds, it becomes clear that there are no accidents; everyone has a secret, and while the characters think they've moved on, their past isn't done with them. "The Killing" stars Emmy® and Golden Globe® nominated Mireille Enos ("Big Love)" as Sarah Linden, the lead homicide detective that investigates the death of Rosie Larsen; Billy Campbell ("Once and Again") as Darren Richmond, Seattle's City Council President and now running for Mayor; Joel Kinnaman ("Snabba Cash") as Stephen Holder, an ex-narc cop who joins the homicide division in the investigation to find Rosie's killer; Emmy® nominated Michelle Forbes ("True Blood") as Rosie's mother, Mitch Larsen; and Brent Sexton ("W.", "In the Valley of Elah") as Rosie's father, Stan Larsen. The pilot was directed by Patty Jenkins ("Monster"). 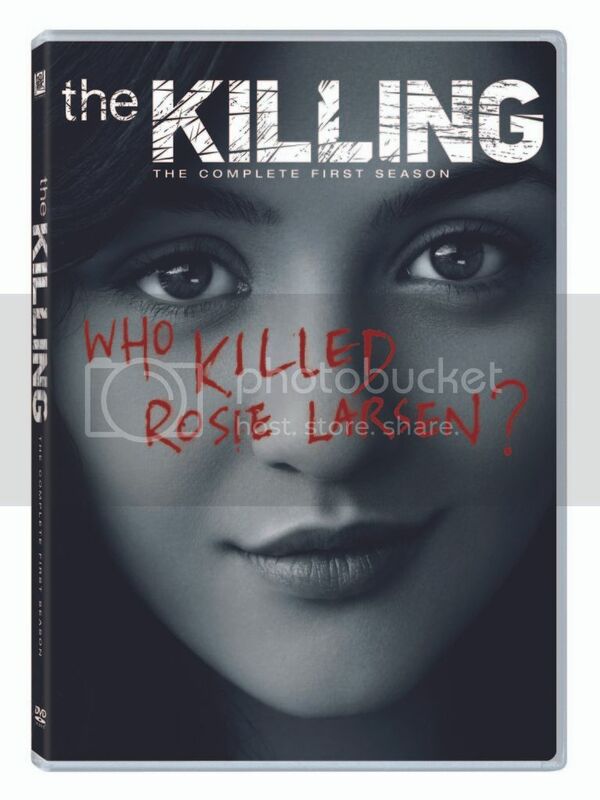 "The Killing" Season 1 Blu-ray and DVD features all 13 episodes and is loaded with exclusive special features including extended season 1 finale, unaired deleted and extended scenes, gag reel, featurettes, director and cast commentaries. I have seen the first episode a while back and I really did enjoy that episode and of curse I wanted to watch it on tv when it aired but I always ended up forgetting to watch it so when I jumped at the chance to review this. I very much enjoyed the first 2 episodes but then it got boring. I know a lot of people really like this show but it just wasn't my cup of tea. If you like this show on tv then you will love this on DVD and Blu-Ray because you get to watch the deleted scenes and gag reel.